Play your favorite Wii games with picture perfect quality using this S-Video AV cable. The RCA style cables connect directly to your television to give you the clearest picture around. This combination S-Video + AV Cable to suit NTSC (US/Canada) Nintendo Wii and Wii U consoles. 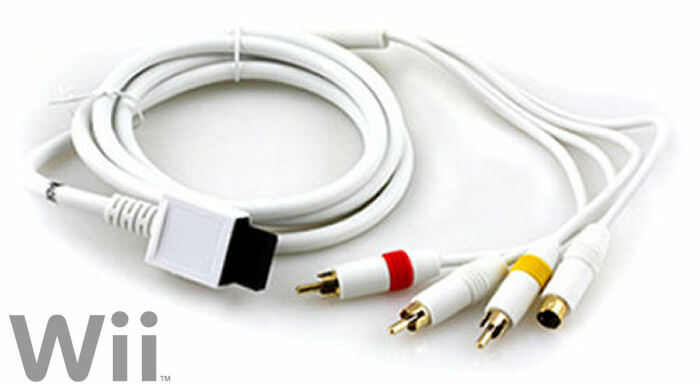 Using this cable you can easily connect your Wii to your TV or home theatre via it's S-Video or AV inputs. Each cable has gold plated connection and measures about 6ft in length. Bulk packed - no retail packaging.